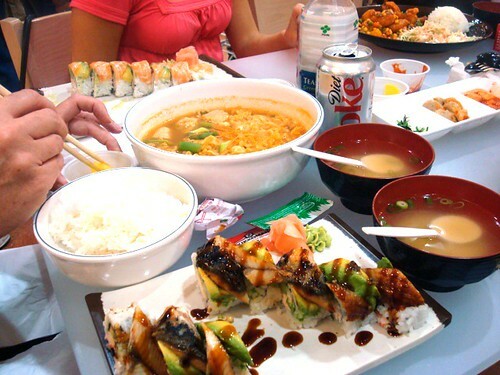 June 2008 – she eats. Posted on June 30, 2008 Categories bars and pubs, food reviews, houston / texas, Houstonist, meat / BBQ1 Comment on Smackdown! Sometimes, for no reason in particular, I make nonsensical lists of songs on Seeqpod. It’s a favorite activity of mine and obviously has no relation to food. So if you came here for the food, you’re probably not going to be too interested in my musical ramblings for the next few paragraphs. You might notice an underlying theme here, which is that none of these songs have anything to do with each other (and also contain some pretty embarassing song choices). With that in mind, I set about to create a mix tape that actually has some semblance of structure to it. So, with that said, I present to you: Summer Songs! These are songs that — mostly for no reason at all — remind me of summer. Some of the choices might be utterly mystifying to you (Beth, by KISS, for example), but we all have our strange little summer memories, don’t we? Enjoy the non-food-related mix tape and tell me: what songs remind you of summer? Me: Ow! The dog scratched my nose and lip! Bugger! Richard: Here, let’s have a look. Oh, yeah. That looks pretty nasty. Richard: Oh, right; that’s just your face. The other day as we were taking a short cut down Westview, I pointed to Super H Mart as we passed Blalock and we had another of our short but ridiculous exchanges. “Look! That’s where I’m going for our Chowhound lunch tomorrow, Mac!” I exclaimed excitedly (quick note: I call my husband Mac, even though his name is Richard…that isn’t confusing, right?). Pulling up to Super H Mart the next day, I could barely wait to get inside and get at the much-ballyhooed food court and fish counter. I had purposely not eaten anything for breakfast or lunch in anticipation of the gorging that was soon to commence. And, boy, was I ever NOT disappointed. 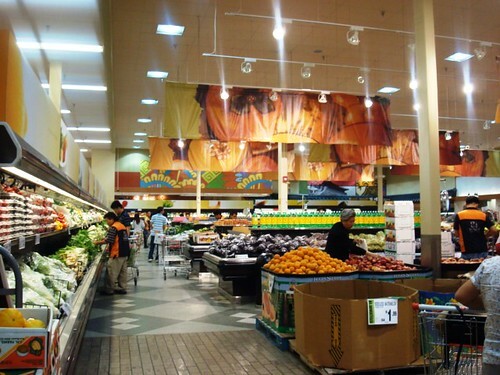 Super H Mart is a chain of Korean/Asian grocery stores based in California, with locations throughout the United States. 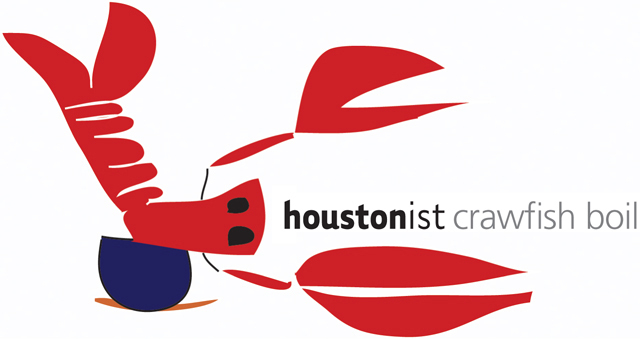 They have a heavy presence in the Northeast and are finally opening stores in Texas with concurrent grand openings in Carrollton (a heavily-Asian suburb of Dallas) and good ol’ Houston. The location in Houston is in a refurbished Randall’s and the Super H Mart folks have done such a fantastic job of it, that you’d think the place was brand-new. 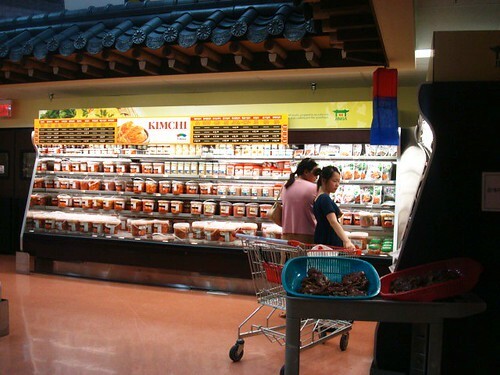 Absolutely sparkling inside, Super H Mart is entirely devoid of the typical smell associated with Asian markets such as Hong Kong Market and Komart. Fellow CHs and I debated whether or not that spicy-cabbagey-fishy smell would come with time. But there’s so much more to Super H Mart than just food: you feel as if you’ve been transported into a high-end mall in Seoul, complete with a perfume shop, bakery, home appliances and housewares section, jewelry store and accessories boutique. As we waited for fellow CHs to show up, I roamed around to begin taking pictures. This, apparently, is frowned upon by the employees at Super H Mart, as I found out when a large Korean lady with a ladle came out of the back of store to angrily chase me away when I took a picture of the kimchi bar. During the rest of my visit, I took my pictures slightly more surreptitiously and ultimately escaped unscathed. Let’s let the rest of the visit be told in pictures, shall we? 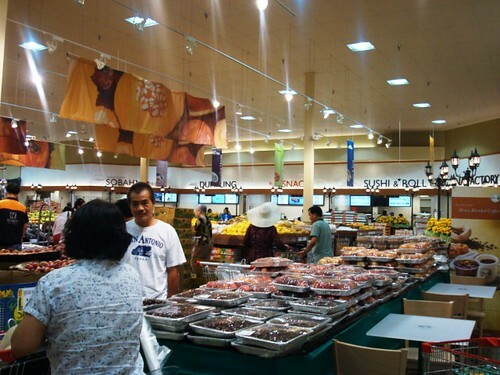 This photo makes it look as if Super H Mart wasn’t crowded. Nothing could be further from the truth; the place was absolutely crammed with people. I guess I just caught a lucky moment here in the produce section. Their produce is fresh and seriously cheap. My mother and I filled our basket with lots of goodies here, including jackfruit and arugula. 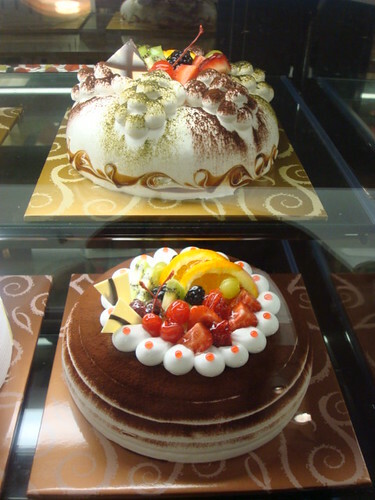 The bakery — well-known Korean-owned chain Tous Les Jours — is directly on your right as you come in. If you don’t want to spend the afternoon in a guilt-ridden carb-induced coma, move past as quickly as possible. 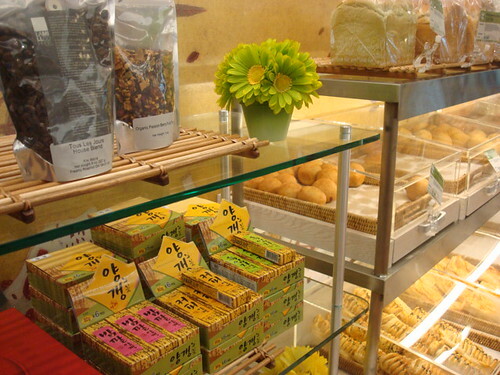 Otherwise, prepare to fight the crowds and get some freshly-baked bread with walnut creme in the center or a few savory red bean rolls. Need a cake for a special event? You won’t find cakes like this anywhere else in Houston. 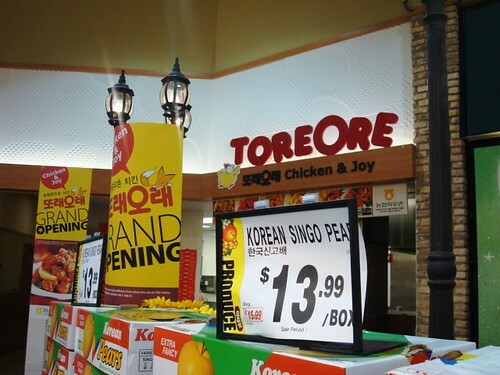 The famous ToreOre chicken stand. Motto? “Chicken & Joy” What’s not to love? Their sweet and spicy chicken lives up to its name, with a delicately sweet and crispy exterior that gives way to a dark rumble of spiciness that doesn’t fully hit you until around a minute after you’ve taken a bite. Highly recommended. 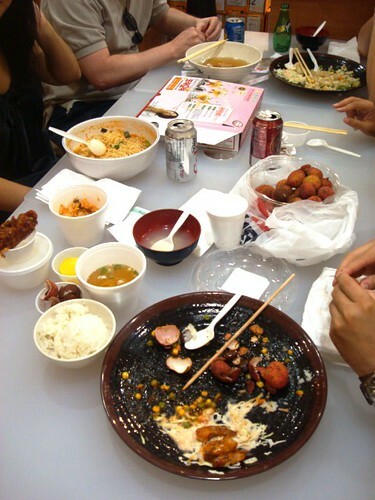 The rest of the food court, which includes Korean Snack (with ramen and other little snacky bits), Fisher’s Market (for sushi and udon), China Factory and Sobahn Express. 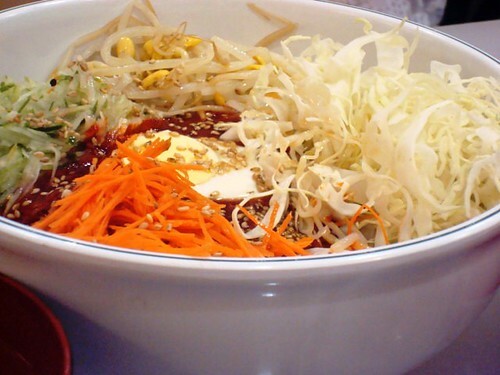 The latter offers a tempting array of bimbimbap and bulgogi, but isn’t actually “express.” During our visit, orders were taking upwards of one hour to prepare. Some of the many dishes we ordered, including a dragon roll (which was excellent, save for the imitation “krab” that was used in the center), ramen with dumplings, mayonnaise shrimp and a salmon roll. The ramen in particular was wonderful, but the sushi was only average (as to be expected at a Korean fast food court, I suppose) and the drink selection was poor. I hoped for cans or bottles of green tea or jasmine tea, at the very least. Instead, there was only a limited selection of canned Coke products. Everything else destroyed — including my favorite dish of the day, the kimchi fried rice — CHs turned to a bag of fresh lychees for dessert. All your kimchi are belong to us. 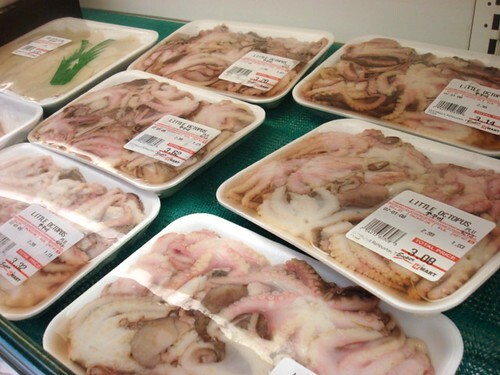 Last but not least, my favorite: baby octopus. One day, I shall return for you, my darlings! I wish that I’d gotten more pictures of the store itself, but — as I said — I didn’t want to leave with ladle marks across my back. Want to see more? 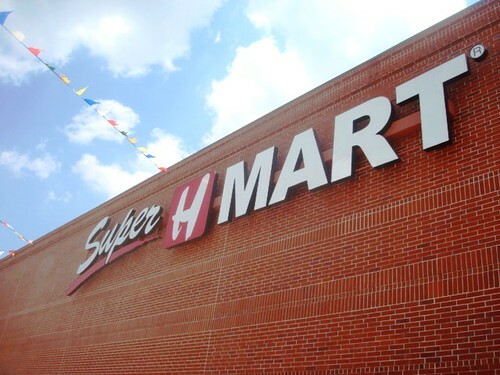 You’ll just have to check out Super H Mart for yourself!